Understanding the Facts and Figures for the city is really important and will help you to understand your visitors which is key to your businesses success! 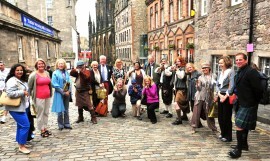 VisitScotland’s Market Segmentation provides insights into the UK visitor market. VisitBritain’s Market Insights this provides huge amount of information about specific markets. Article: How can you make the most of our Heritage and History? Article: New Carrier Bag Regulation – How it Impacts You!! Article: Are You Welcoming Chinese Visitors? Resource: Where are Edinburgh visitors flying from?